Today, as Adobe wrapped up its presentation of CS6 and Creative Cloud, CEO Shantanu Narayen announced that the company is committing $1 million to establish the Adobe Foundation Creativity Scholarships – a new global initiative intended to unlock the creative potential of students. The scholarship will be offered to high-school seniors who participate in the Adobe Youth Voices program, and will help students continue their education, pursue creative careers and find innovative ways to improve their communities. Students from the Adobe Youth Voices (AYV) network, which includes more than 800 sites in 52 countries, will be eligible to apply for the scholarships. AYV is Adobe’s signature global philanthropy initiative focused on teaching youth from underserved communities the power of creative self-expression and global citizenship. The first scholarship application cycle is expected to begin in spring 2013, with awards distributed for the start of the academic year beginning in fall 2013. The Adobe Foundation Creativity Scholarships will be focused on youth who plan to pursue an academic program or career in a creative field at an accredited college, university or certification program. Scholarships will be based on financial need, academic performance and potential. Individual scholarship amounts and lengths will vary based on country, curriculum and other factors. The urge to create has never been stronger, and the ability to create is unprecedented, yet a new global study shows that most people feel they are not living up to their own creative potential. We challenge the notion that creativity is reserved for an elite few, and believe that no matter what you do, everyone has the potential to be creative. Adobe has had quite the day, having announced the official May release of CS6, a welcome improvement for creatives, and Creative Cloud, an interesting push towards a subscription service that unifies everything Adobe offers. 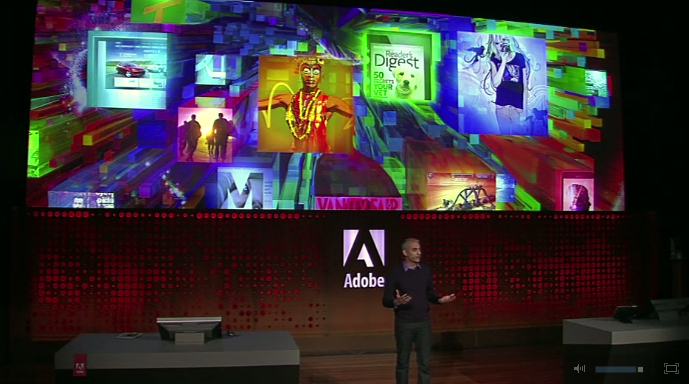 For more, check out everything you need to know about today’s Adobe event.